8/17/16: Apparently there was a computer glitch at the Department of Ecology. Perhaps the comments from EVERYONE who commented so far have been retained, but not sure. The comments I see in the database are predominantly from factory farmers. Please see the Department of Ecology's notice here and submit your comments again or for the first time. Factory farming has ruined many regions whether in North Carolina, Iowa, or the Amazon Rain Forest or elsewhere. Public human health as well as non-human manure runoff into streams and particulates in the air are major concerns on top of the horrendous direct cruelty to the confined animals raised for human consumption. Per the instructions in the notice, you can submit or re-submit your comments via the web form there, email your comments to staff, or send in the US mail. You can also sign on to the letter provided by Re-Sources.org as referenced in my earlier post herebelow. People may submit public comments until August 17th 2016. Cattle are an invasive species. There should be a reduction in their exploitation for many reasons, including the fact that they are not natural. Wolves are natural. 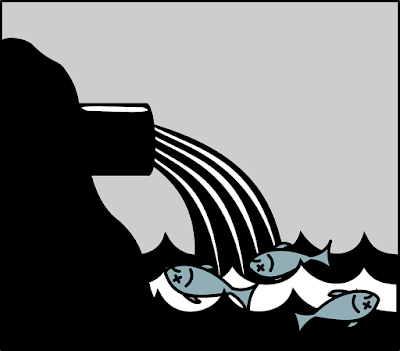 Industrial exploitation of cattle, pigs, hens and others for human consumption has been creating grave threats to the confined non-human animals and also to water supplies, groundwater, streams, lakes, and marine environment such as Puget Sound. Waste from factory farms after water evaporates also threatens the air as particulates which are bad for public health reasons. The animal exploiters cry that costs are too high to implement pollution control measures. They are political, able to contribute to campaigns, show up at public meetings, and curry the politicians' favor. People who genuinely care about protecting public health and the environment need to step up and speak out. See also previous post re CAFO Public Involvement Workshops and Hearings.